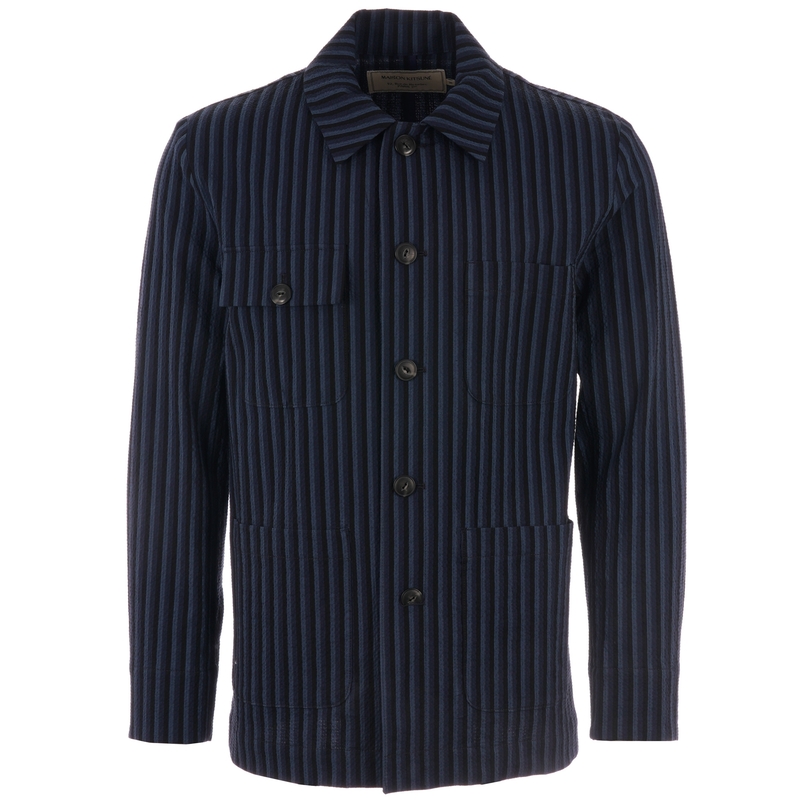 One of the stand out features from this season's entire collection the Stripes Seersucker Worker Jacket from Maison Kitsune offers a high quality take of a classic workers jacket making a statement with the use of a textured navy stripe seersucker fabric for an aesthetic that reflect's the Parisian cool side of the label. Made with a slight stretch a large spread collar up top allows the wearer to express an air if individuality - turned up or down - whilst the button detailing to it's full body closure and barrel cuffs reflect in this tonality. Kitted out with a series of pockets at the chest and lower front team up as an overlayer to a rotational tee for optimal performance throughout warmer periods of the year.